Tremendo wrote his first words today on the easel. I marveled at this since in the past he only wanted to write three letters: L, M, and X. 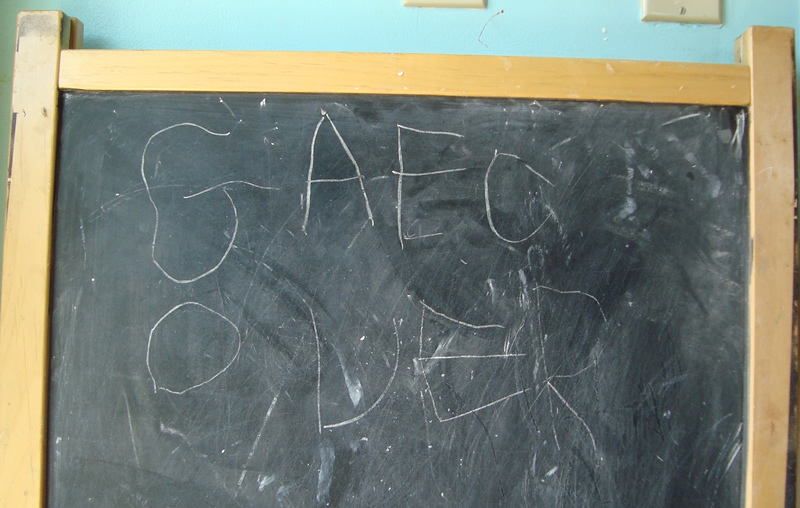 Of course I had to video tape it when he started doing it again on the small chalkboard. Today after I video taped him writing he also copied some words. Then he drew a turtle and a shark. When he first showed us his drawing of the shark, Kamikaze mentioned that he should’ve drawn a mouth with triangle teeth. Tremendo went write back to his drawing and added teeth. We are so impressed with him today. Way to go, Tremendo!!! 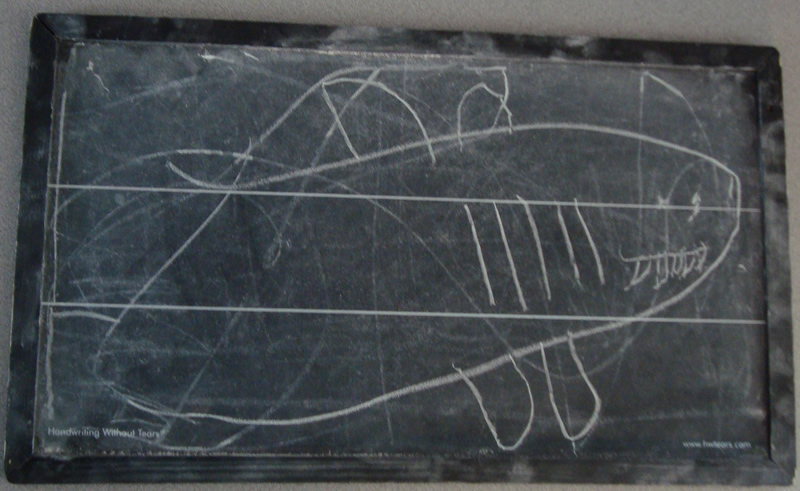 All his letters were written with his right hand but the shark’s teeth were drawn with his left. 3 Responses to "GAME OVER"
I’m so proud of him!! Our little star! Can’t wait for what lies ahead. Thanks for sharing!